Impacted by China’s economic slowdown and the tendency of the new normal of China’s economy, the total at-home beverage spending of China’s urban households declined for the first time in the recent years, comparing past 12 months to end of June 2016 vs. year ago. According to the study of Kantar Worldpanel, the total beverage volume also declined for the second year in a row. Frequency decline is the main reason behind. The frequency of urban households beverage purchase declined 7.6%, decreased 1.7 times per household. Under the weak performance of beverage market, however, the major manufacturers are still seeking the new opportunities through unremitting product innovations. After a rapid development in past 2 years, the light-flavor beverages, such as Haizhiyan from President and Shuidongle from Coca-Cola, are the biggest dark horses in the market now, and become consumers’ new love with their light and fresh taste. Its sales volume soared 44% in last year; almost 2/3 of the growth comes from the new light-flavor beverage brands. According to the continuous research from Kantar Worldpanel that regards to FMCG purchase of China’s urban households, the findings pointed out that 20% of the urban China households bought the light-flavor beverage such as Haizhiyan or Shuidongle in last year; it was only 15% one year ago. The expanding buyer group is the key driver for light-flavor beverages. Nowadays, shoppers actually pay much more attention to the food health. The traditional high oil, high salt and high sugar food taste becomes lighter. For instance, the volume per household of cooking oil declined 4% in the past 12 months. The organic and natural concepts greatly influence people’s dinning and daily consumption. Light-flavor beverage manufacturers were aware of the intense demands from the consumers, and offered this healthier choice to the health-concerned buyers. Most of the light-flavor beverages contain less than 100 KJ per 100ML, some products like Qinningshui and Shuidongle only provide around 70 KJ per 100ML. Comparing to the traditional beverages that usually contain around 200 KJ per 100ML, light-flavor beverages bring us less energy intake but fresher taste and healthier life style. Shoppers buy light-flavor beverages to replace some higher energy drinks. This trend helps the light-flavor beverage market to easily gain share over other categories. According to the research from Kantar Worldpanel, two-thirds of the light-flavor beverages growth was contributed by switching from the existing drink products. CSD and low concentration juice products were replaced mostly, and some packaged water was also replaced by the light-flavor beverages. Because of multiple benefits: not only the rehydrate function, light-flavor beverages also provide light fruity taste and some nutrition inside. The healthy concept appeals to young people in Key and A tier cities who pursue more fashion diet style. This is another reason why light-flavor beverages become popular. Among the households who bought light-flavor beverage in recent one year, 60% of them come from young families and teenager families, 6% higher than total beverage; 43% come from the Key & A tier cities households, 10% higher than total beverage. According to the feature of the young generations, many manufacturers began to cater the young generation’s taste. For example, Mizone Shuiyue launched in JingDong first, use the online channel to attract young people who like online shopping. While, Shuiquduo launched in CVS first to attract daily commuters in major cities. There are more and more light-flavor beverage choices to the consumers in the market now. However, many light-flavor beverages are quite similar in function and flavor. Thus, manufacturers have to pay more attention to the distinct packaging, such as appearance design and bottle shape, and more interactions on social media platforms that can motivate young consumers to have a try of the new products. Actually, the light-flavor beverages do attract a lot people who seek variety.and are willing to try new products Light-flavor beverage consumers usually buy 6.3 beverage categories each year. It is 0.9 categories more than the total beverage buyer average. Meanwhile, these consumers also select 18.6 beverage brands each year. It is 5.7 brands more than the total beverage buyer average. For the manufacturers, launching new products, it is easier to recruit those buyers, but they also change their preferences quickly. For example, Haizhiyan’s volume increased 36% in the past year, but still lost 6% of its volume to other new light-flavor beverages in competition as well. With the fiercer competition, it will be a huge challenge to enhance consumers’ brand loyalty. Moreover, how to attract the consumers who do not buy that many different beverage categories and brands is another challenge. 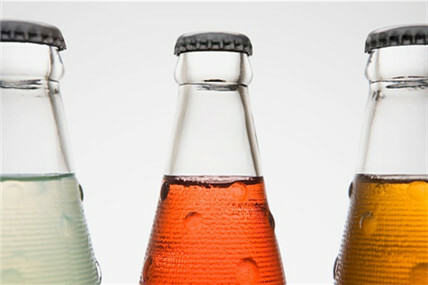 Light-flavor beverage is not the only hot topic in today’s beverage market. Manufacturers are always seeking the possible growth opportunities in the market. For instance, coconut water is increasingly popular in China. Mango and blueberry juices are niche flavors but grow rapidly in market. Some dessert type beverages provide a heavy & rich taste to the market to attract the consumers who looking for an indulging experience. Product innovation is definitely one of the most important ways for market growth. Light-flavor beverage manufacturers successfully use the product features to recruit shoppers in Key & A tier cities who care about healthy lifestyle and are willing to try new products. We believe that there will be other new beverage sub-categories to meet consumers’ special demands in the future. The beverage market will be more diversified and we will see more and more cross category innovations. For manufacturers, it is not only a severe challenge, but also a huge opportunity. Keeping product innovation and performance tracking will be the key to stay ahead of competition. 1. In this article, beverages include package water, sodas, juice, ready-to-drink tea，energy drinks，ready-to-drink coffee，yogurt drinks，and Asia traditional drinks, such as herbal tea，vegetable protein drinks, fruit vinegar, cereal protein drinks, and chrysanthemum tea, etc. 2. Light-flavor beverages include President Haizhiyan, Shuiquduo, SUNTORY Qin series, Master Kong Sea Crystal Lemon, Nongfu Spring Shui series, Coca-Cola Shuidongle,Pepsi Weidongli, Mizone Suiyue, Wantwant Qinshidai. 3. Light-flavor beverage is included in ‘juice and functional drinks’, not calculated individually.